In Barcelona there are plenty of kid’s activities. Whether you live in the Catalan capital as if you are planning to travel to Barcelona with children, there are many plans you can do with children. The nice thing about big cities like this is that throughout the year you can find activities that involve having a good time with family. Come out with your family with this city guide in Barcelona with children! The city offers great children’s entertainment proposals as the Tibidabo, but there are also many small businesses and lesser known places that you explain below. 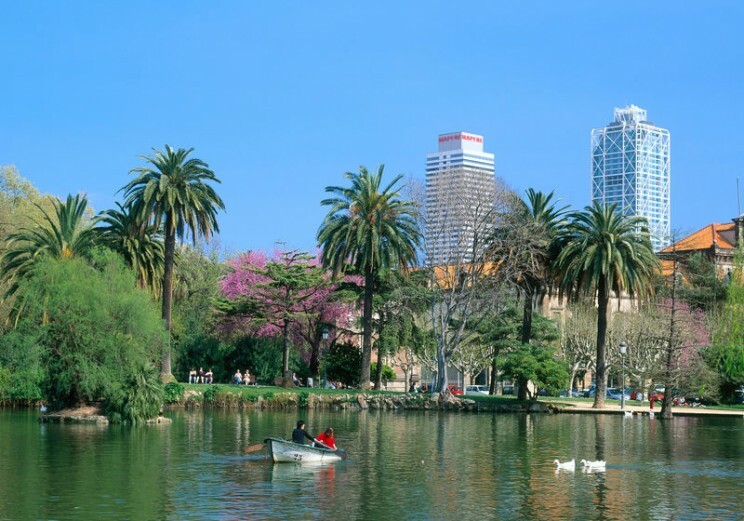 Amusement parks and wildlife parks for children in Barcelona. Montjuïc hill is a breath of fresh air, a city break throw a stone that allows us to disconnect from the city and recharge your batteries in a more natural environment. 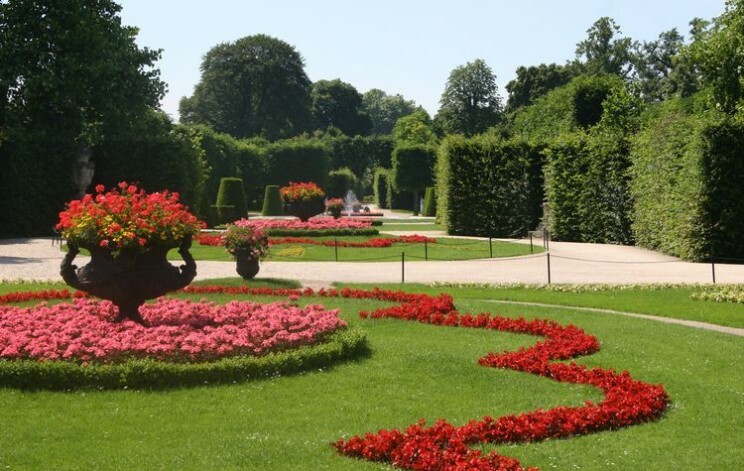 Joan Brossa Gardens are an ideal escape in the middle of nature. It is one of the free activities with children to enjoy playing outdoors without anything but the natural elements that surround it. In these gardens on Montjuïc Mountain, where it was before the amusement park, you will find playgrounds and many more leisure activities. 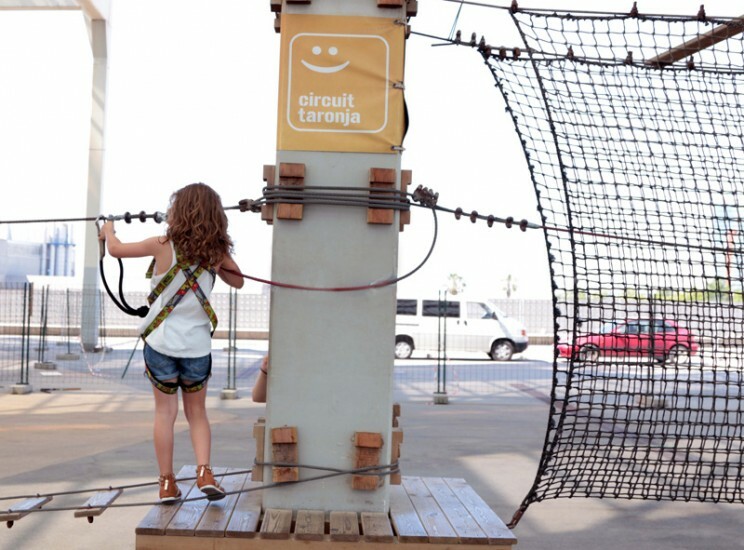 Interactive key factor is experience: if you give a ride following the route will discover the “musical cushions” that emit sounds when stepped on, and wooden structures that imitate musical instruments with which children can play and have a wonderful time. Another game for the little ones is the game of sand and water, a tender reminder of childhood games of their parents. If you are looking for something to do today in Barcelona, already you have plan! In addition, behind the castle of Montjuïc is a road education park where children can travel by bike, scooter or your favorite vehicle and learn the rules of the road. During the celebrations of the Mercè of Barcelona (week of 24th September) the place dresses and special activities are organized. Barcelona Bosc Urbà is an adventure park with zip lines and lianas located in the city of Barcelona. It has different circuits; two of them suitable for children. In this park, visitors will find: zip lines, nets, lianas, bungee jumping, bridges and more. Dare with more than 50 attractions, of different levels, for young and old. You can find more information about this adventure park in our guide, where we inform you about the different circuits. It is a large wooded area that connects Barcelona with Collserola. Its 17 hectares are the result of the sum of two rural estates and the remains of a castle, the Oreneta, which gives its name to the park. The forest parc de l’Oreneta is one of the privileged places to go with children in Barcelona. It’s urban forest that has it all: spectacular views, playground, picnic area, a small hidden pond, a restaurant… and during the weekends, children can ride ponies and walk around in little trains. A great plan to do with children in Barcelona! It is in the Sarria-Sant Gervasi district, and has different inputs for which access this space: the streets dels Esports, the passage of the Blada, Montevideo Street and the Gaspar Cassadó street. 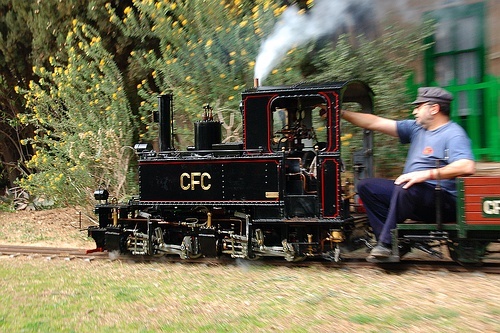 Miniature trains in the park are the stars of the weekend. For a very low price you can take it the train trip and walk around the park, walk through the vegetation, by dark tunnels and overpasses. The main playing area of the park is on the esplanade where the train is located. There is a place for older and another for children. The proposals are not typical of swing and slide more conventional parks. There zip line, there are rubber sheets to jump … all made of wood and surrounded by sand. It is a good place for excursions with the school or group to celebrate birthday parties as around some tables that let you leave food that you bear. At the bottom of the forest are the stables of ponies in the Pony Club Barcelona, where you can organize kids parties and pony rides on weekends. You can walk around the paddock if children are small or do a little tour accompanied by their parents (holding the reins) in the nearby forest within the enclosure. The Parc de la Ciutadella is one of Barcelona’s most emblematic parks. Well, the parc de la Ciutadella has many corners that make it special: it has many different materials to play, many of them natural or handmade. And every day of the week offers a different activity, which also includes a workshop of urban garden. A place which is worth spend a while and watch our little explorers in action. Another very interesting places for children, are the small boats of the lake. This is where boats can navigate the park lake. So, you can paddle among small islands, discover ducks or turtles follow, all in an unbeatable atmosphere. Ciutadella is also ideal for outdoor dining with children or celebrating birthdays. There are many areas of flat lawn and pretty clean to sit. If you do not want to bring everything, there are a couple of café kiosks where you can buy snacks, sandwiches, snacks, sweets and drinks. Near the source of the waterfall children are impressed with the huge statue of mammoth stone and love to climb its trunk. For more information on the activity of small boats Lake, click here. One of the great attractions of the city of Barcelona is Tibidabo Amusement Park. A place where fun is guaranteed and no matter you are adult or child, as the attractions are designed to ensure fun for all who want it. On October 29, 1901 the opening of this park is one of the oldest amusement parks in the world over took place. It has more than 25 attractions aimed at all ages, from the smallest of the house through youth and trapping in the clutches of fun to adults. All this in a privileged place with the magical background of the city of Barcelona. Amusement Park Tibidabo also has a food court which highlights the beautiful views of the old city, in addition to an area to have a picnic when the weather permits, in this case, usually most of the year in Barcelona. The Camí del Cel a famous attraction of Tibidabo, a fantastic ride to 500 meters above the sea where visitors can enjoy, once again, with the wonderful and spectacular views of the city of Barcelona and learn from the highest part some of the most emblematic buildings of the town. 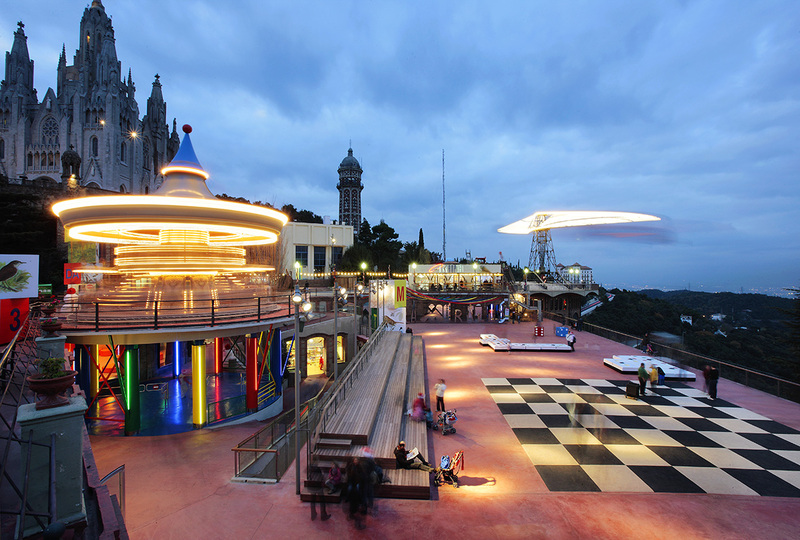 Come discover the mountain Tibidabo found in our Barcelona guide, here. If you liked this first part visit us the next week. We’ll talk about more activities for enjoy with children in Barcelona, like going for museums, movies or where to eat with children. Festa de Gràcia. One of the most emblematic festivals of Barcelona.